Serving All Of Central NJ! 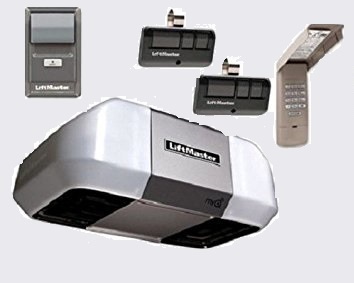 Liftmaster 8365 WiFi Enabled Garage Opener now only $425 Installed! The Liftmaster 8365-267 Comes with 2 Remotes and a Keypad. Rugged, reliable performance with a lifetime warranty on the motor is what you'll get with the LiftMaster 8365 1/2 HP Chain Drive Garage Door Opener. Its durable 1/2 HP motor combined with an industrial-strength chain drive provide smooth, steady performance year after year. Control It From Your Phone! Never Wonder If You Closed The Door Again! 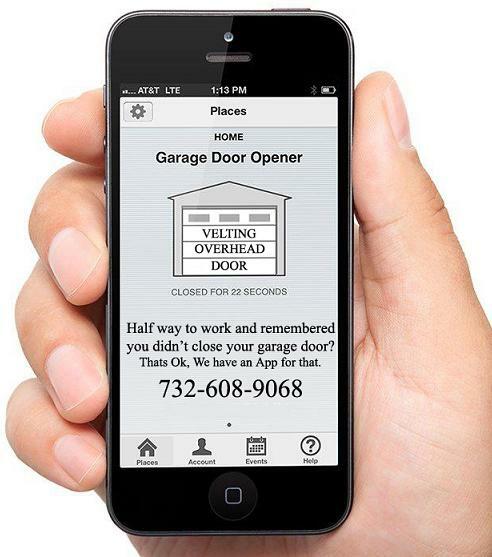 This garage door opener comes with two car remotes, interior wall control, safety sensors and an outside keypad. Everything you need in one affordable package! The Protector System safety sensors project an invisible light beam across the garage door opening and automatically reverse the door if anything interrupts the beam while the door is going down. Security+ rolling code technology assures a new code is sent every time the remote control is used. The Liftmaster 8365 motor is warrantied for life, and we give a one year installation warranty. We Do Opener Repair Too! Is your liftmaster garage door opener in need of a tune up or a repair? We can help. We stock all the most commonly used liftmaster garage door opener parts on all of our service trucks so we can get you back up and running in no time. Call us today for your free quote!